Have you ever laid wide awake in your bed, just dreaming to find that natural sleep aid – yes, the magic pill! – to put you to sleep right away? Insomnia hardly needs an explanation or definition. Most of us are only too familiar with this debilitating sleep disorder. Some of us more so than others. Some people go through stages when they have difficulty to sleep due to some temporary situation in their lives. Others suffer from chronic sleeplessness. Insomnia takes different forms. It is not only the inability to fall asleep. Some insomniacs go to sleep easily enough, but they wake up after an hour or two and can’t resume sleep. Other people wake up long before they have had enough sleep. Still, others fall asleep but their sleep quality is poor – they don’t feel rested after a night’s sleep. Whatever form it takes, insomnia has a really undesirable result. It results in sleep deprivation, which has long-term and serious effects on health. In this article, we are going to look at some popular natural sleep aids that show promising results in treating insomnia. Melatonin is a hormone that is secreted in the brain and regulates sleep. It is prescribed as a sleep aid to help regulate your sleep cycle. Scientific research has provided evidence that melatonin might improve sleep in certain situations. It’s common for the elderly to struggle with sleep. Scientists have investigated the effects of prolonged-release melatonin on sleep in older people. They found that it improves the quality of sleep in people 55 years and older. One randomized placebo-controlled study looked at the effects of prolonged-release melatonin (PR-melatonin). A total of 170 insomnia patients 55 years and older received 2mg PR-melatonin for 3 weeks. The PR-melatonin significantly improved the quality of sleep and morning alertness in these patients and there were no withdrawal symptoms when they stopped using the drug. Another study showed that melatonin supplementation helped migraine sufferers to sleep better, but it had no effect on migraine itself. The perennial flowering plant is native to Europe and Asia. The valerian roots are used to make a tea. People drink the tea to calm their anxiety and to help them fall asleep. Though valerian is used widely for its sedative properties, current scientific research has not found it very effective. A meta-analysis of 16 randomized, controlled trials found the use of valerian almost doubled the chance of sleeping better when compared with a placebo for 6 of the 16 studies. Only 9 of the studies reported the effect of valerian on the ability to fall asleep, but due to the different trial designs, the reviewers were not able to draw any firm conclusions. This is the only meta-analysis to date and it suggests no significant influence of valerian. The scientist concluded that larger randomized, controlled trials are needed. Scientists have also looked at the efficacy of valerian on sleep in people with cancer. Supplementation with 450mg of valerian 1 hour before bedtime for 8 weeks managed to diminish levels of fatigue in the valerian group relative to the placebo group. Patients reported that they fell asleep quicker. However, sleep quality didn’t improve. Vitex agnus-castus, also called Chaste Tree, is a flowering plant. Vitex agnus-castus supplements are made from the dried fruit of the plant. The supplement is primarily used to alleviate PMS symptoms. One of these symptoms can be insomnia. In a randomized, double-blind, placebo-controlled study in China, 64 study subjects received Vitex agnus-castus or a placebo during three menstrual cycles. The supplement was found to be more effective than a placebo in the treatment of PMS symptoms, especially insomnia. In two scientific studies, Ashwagandha has shown promise in helping people to sleep better. Ashwagandha has been shown to play a positive role in cancer treatment. One of the side effects of chemotherapy is prolonged fatigue. In one experiment with ashwagandha, scientists found evidence that it can decrease fatigue caused by chemotherapy. However, this kind of trial doesn’t carry much weight as it was an open-label non-randomized comparative trial. The scientists themselves stressed that more research is necessary to confirm their findings. A well-designed study from India seems to suggest that Ashwagandha can indeed have a positive effect on insomnia. A randomized double-blind, placebo-controlled study that looked at safety and efficacy of ashwagandha in reducing stress and anxiety in adults has been published in the Indian Journal of Psychological Medicine. Anxiety and insomnia were one of the subsets of stress that was measured in this scientific study. By Day 60 of the trial, the Ashwagandha group showed a significant (69.7%) reduction in the anxiety and insomnia subset. In the placebo group, the scores were much lower. Lavender oil has been proven to be effective for the treatment of anxiety and recent research discovered how lavender helps with anxiety. The question is, can something that calms you down, also help you to sleep? Multiple studies on lavender have found improvements in sleep quality in insomniacs and people with generalized anxiety disorder. However, the quality of the studies was not of the best. One cohort study that didn’t have a placebo control, found that 67 middle-aged women experienced improvements in sleep quality after inhaling lavender aroma for 20 minutes twice a week for 12 weeks. The study depended on self-reporting by the women. 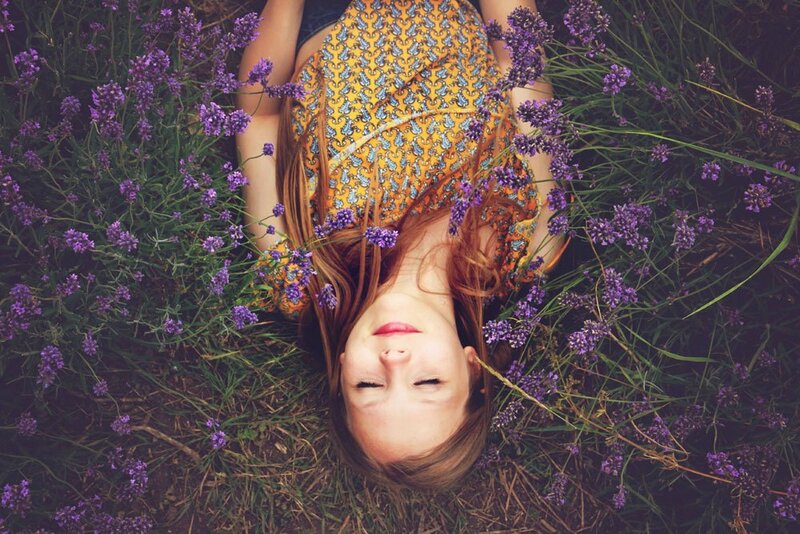 In another cohort study that didn’t use a control group, lavender aromatherapy improved sleep quality in terms of length of time taken to fall asleep, the severity of insomnia, and satisfaction with sleep. The scientists concluded that lavender has a beneficial effect on insomnia and depression but added that more research is needed. Melissa officinalis also known as Lemon Balm is a herb that belongs to the mint family. It is used to calm the nerves and to relax the body. The effect of Melissa officinalis on insomnia has only been tested in one study. The open-label, 15-day study evaluated the efficacy of the extract on volunteers with mild to moderate anxiety disorders and sleep disturbances. A dosage of 600mg of Lemon Balm extract reduced anxiety by 15-18% and anxiety-related insomnia by 42%. This is a big reduction, but scientists say it’s probably the result of the fact that the patients felt less anxious. So, lemon balm will probably help people with anxiety to sleep better, but not people who don’t suffer from anxiety. Although evidence is still weak, these supplements show promise to work as natural sleep aids to help with insomnia. However, more strong research is necessary: the magic pill isn’t here yet!